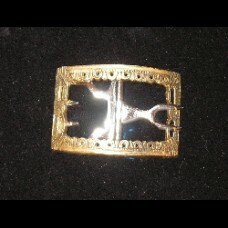 This three-pronged white bronze buckle is patterned from an original silver buckle. White bronze lo..
Small ring: inside diameter is 1 3/8". 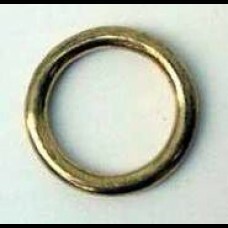 Large ring: outside diameter measures 2 1/8" a.. 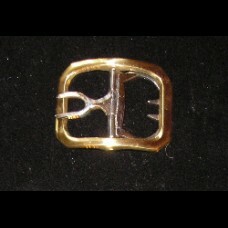 Pair of brass shoe buckles copied from an original found in the Hudson River Valley. Matches knee b.. 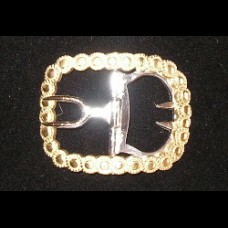 Pair of brass shoe buckles copied from an original from the Upper Hudson River Valley. Measures 2 1.. 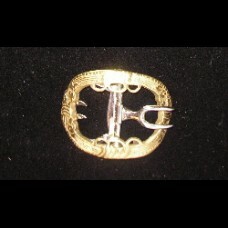 Pair of brass shoe buckles circa 1745 from an original found in a well at Williamsburg. 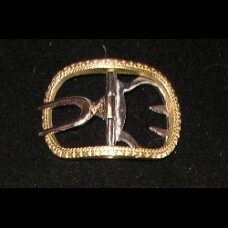 Measures 2..
Shoe Buckles AQ 1 1/2"
Pair of brass shoe buckles copied from an original found in the Upper Hudson River Valley. Fits up .. 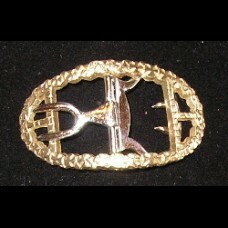 Pair of brass shoe buckles. The original was found with a bronze ring with silver Sheffield plate.F.. 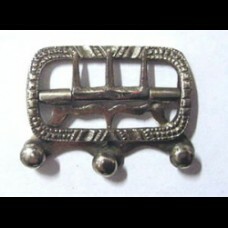 Pair of steel shoes buckles. Original was found at Fort Ticonderoga. Others have been found at For.. 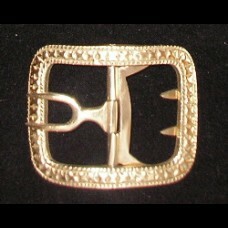 Pair of brass shoes buckles reproduced from an original pair of buckles. The buckles date during the.. 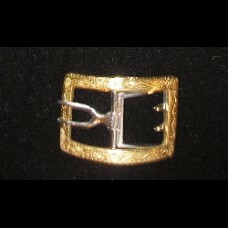 Pair of brass, plain rectangular reproduction buckles with rounded corners. Measures 2 1/4" x 1 3/4.. 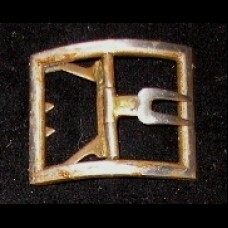 Pair of brass shoes buckles. The original was found at Fort Gage, New York. Fits 1 1/2" wide latch.. 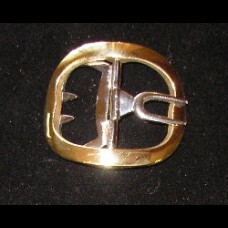 Pair of large, plain, rectangular, brass shoe buckles. Fits 1 3/8" wide latchet. These are period-.. 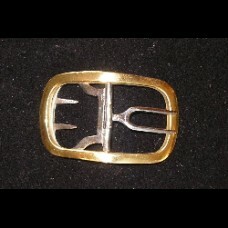 Pair of brass shoe buckles. The original was found along the Sandusky River in Fremont, Ohio. The ..